Germany, the land of exquisite cars, exquisite beers, beautiful cities and precise engineering, is also a place that’s passionate about sport and provides avenues for citizens to have a gamble on the games they love online. The best German betting sites offer an impressive range of markets to bet on for the country’s most-popular sports. Our recommended and ranked online bookmakers are all legal, secure and licensed – click on the ‘review’ button to learn more about which bookmakers will suit your needs. You may not have heard of it outside of Europe, but Thoroughbred racing is massive in Germany. There is racing at a number of high-class venues throughout the country on almost every day of the year — the large majority of which are televised and archived for punters. Several Group 1 encounters in Germany attract some of the world’s best horses and the punters flock to these events. Racing is the lifeblood of the online bookmaker industry. Germany has a rich basketball history and a strong national team and domestic competition. Local Basketball bookmakers will take bets on the NBA, where the German legend Dirk Nowitzki is in the twilight of his illustrious career. Football betting is one of the world’s most popular gambling past times and in Germany this is no exception. Sports books offer a huge range of betting markets for the local league, the Bundesliga, other major Europe competitions like the EPL, La Liga, Ligue 1, Champions League and of course, internationals and the World Cup – where Germany has enjoyed great success over the last century. Germany loves its boxing and MMA and has its heroes in both sports. The country has hosted world title bouts and big UFC cards and the bookmakers have a wide range of markets regularly open to gamblers in these fields. While some American sport like baseball and NFL football does not quite land in Europe, there are US Sports that are popular to bet on, especially in Germany. Germans take a keen interest in NHL ice hockey and NBA basketball – where they have their own stars playing in both leagues. Germany has had some of the best players to ever grace a tennis court on both the male and female circuit. As one of the most popular sports in the country, bookmakers will always hold various, perpetual markets on the ATP, WTA and lower-level tours, but tennis bookies will focus their main energies on the majors like the Australian Open, Wimbledon, French Open and US Open. While they don’t have anyone in the top 20 in the world now, Germany does have a rich history of star golfers and the sport is popular with bettors, who enjoy a wide variety of golf betting options. Love your casino games? In Germany you don’t have to even leave your home to play. German players have access to the world’s best online casino websites and the security and superior experiences they offer. Classic games such as blackjack, craps, poker, roulette and even slots – are all available at our recommended real money casinos. Each of the sites listed in our review panel below will accept players from Germany. Be sure to read the reviews provided by BettingPlanet.com to find the one most-suited to your needs. Real money slot games is one of the great features of online casinos. If you like playing the slots, there can sometimes be hundreds of different variants to explore — you can play classic three and five-reel video slots, progressive jackpot slots, and a number of themed games that feature the world’s most popular movies, TV shows, video games. If you’ve played Black Jack at your nearest casino lately, there’s a good chance you’ve been victim to the latest trend of hiking up the house edge with the classic game of 21. The good news is, if you love blackjack games and want to play with the original rules, you can play the game online. Each one of our top-ranked online casinos offer many different versions of the game, some even have live dealers. It’s as simple as this — good luck trying to find a single-zero roulette table at your local casino or gaming establishment these days. They disappear more and more as brick-and-mortar venues look to sharpen their edge. If you love the game of roulette, you’ll find it in its purest form online. You can find live dealers and tables at significantly raise your winning percentage. German players enjoy the security and safety that the world’s most-renowned and respected online casinos and bookmakers provide. Licensed online venues provide the most secure deposit and withdrawal options and operate under strict regulations. The currencies accepted include the Euro (EUR), US dollars (USD) and British pounds (GBP), among others from all around the world. The popular past-time was originally outlawed in Germany in 2008 after an interstate treaty. Luckily for punters, Schleswig-Holstein refrained from signing this treaty and created its own state gambling laws. What eventuated was a state where gambling companies, bookmakers and casinos could be licensed and their product made available to all German citizens. 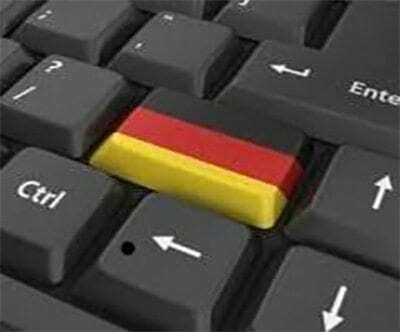 In 2012 the German gambling treaty was upgraded to allow the operation of a limited number (20) of online sports betting companies online across the country. While online casinos are unable to establish themselves within Germany, Germans are not prosecuted for playing at offshore online casinos, the large majority of which happily and enthusiastically accept players from the country and provide thousands of pages, posts and games in the German language.